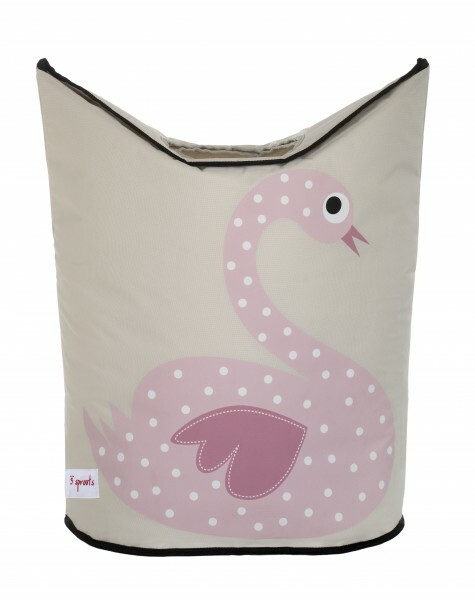 Looking for a stylish way of storing all your child's or family laundry? This stylish laundry basket will hopefully encourage all the family to make good use of it and comes with a lovely felt applique octopus on the front. It comes with 2 large handles and a circular opening, so when it is full it can be easily transported straight to the washing machine. The laundry basket can be easily wiped down and can be folded away when empty. Great for a child's bedroom, nursery or family bathroom. This laundry bin comes from a fab range which also includes a storage bin or box, all styled with a trade mark felt applique animal.